Veloce ® cycling and bike rental company : Bike hire in Milan - collecting at accommodation at end of rental period. Bike hire in Milan - collecting at accommodation at end of rental period. This late afternoon we have collected in Milano our bikes from 2 different customers. 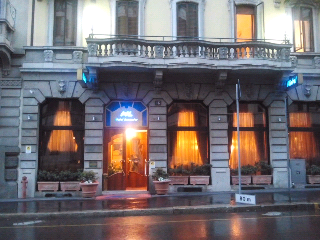 In this picture the Lancaster hotel in Milan.